To find a white wine in our store please type into the search box on the right. 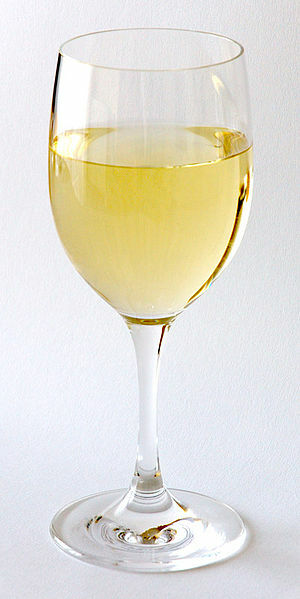 White wine is a wine whose color is slightly yellow. This kind of wine is produced using non-coloured grapes or using red-skinned grapes’ juice, not allowing it to extract pigment from the skin. White wine’s color can be derived from an assortment of grape varieties. White wines are made from the grape juice and grape skin of green, gold or yellowish colored grapes or from just the juice (not the skin) of select red grapes (as in some Champagnes). White wines are often consumed with lighter meals, or as an apéritif. They are more refreshing, lighter in both style and taste than the majority of their red wine counterparts, making them ideal for spring and summer occasions. The old guideline of “white wine with white meat” still holds true in many instances, but there are plenty of exceptions and palate preferences that dictate which wines to pair with what foods. White wines beg a different glass style altogether from red wines. They are best presented in narrower glasses, as the sharper taper at the top of the glass allows for better aroma concentration of more delicate white wines. Optimum white wine serving temperatures are 7 to 10 degrees [45-50 °F]. Common varietials of white wines include riesling, semillon, sauvignon blanc, pinot gris, chenin blancs and moselle. Champagne, a sparkling white wine, originating from France, is arguably the best known.